The officials at the local offices haven’t been given the power to rectify anything, they say. BENGALURU: “It’s like a Catch-22 situation,” says Nilkar Sripathi, referring to the property tax payment mess. And, according to him, several others are also in the same boat. Sripathi (53), a retired mechanical engineer, had paid the full tax amount of Rs 9,411 for the 2015-16 financial and had also received a system-generated receipt for it. However, when he checked the property tax payment portal in April this year, it showed arrears from last year, and the total due came to Rs 18,820.90. 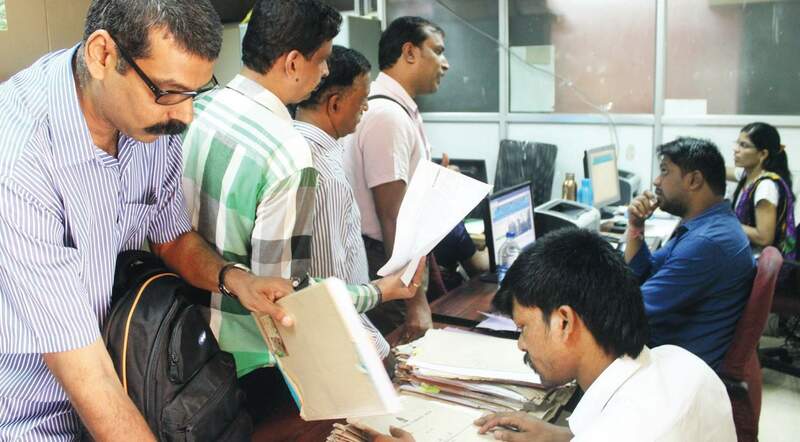 This was before the Assistant Revenue Officers (ARO) were given login IDs to the websites so that they could rectify mistakes at the local BBMP offices. Sripathi then tried another avenue by raising a grievance on the BBMP’s property tax portal. An ID number for his complaint was duly generated, but no action was taken. A week later, he visited the BBMP office to check the status of his complaint, only to find that his complaint ID was untraceable. “The system didn’t recognise my complaint ID, it had actually got lost,” he said. Not one to give up, Sripathi then raised another complaint, this time on the BBMP Sahaaya app. He duly got the acknowledgement through an SMS, and got another SMS two days later informing him that an official, Somashekar, had been assigned to deal with his complaint and it would be resolved within two days. It’s been over 10 days since he got the SMS, but he hasn’t received any further information. In the meantime, he also sent a email explaining the whole issue. Of course there was no response. Effectively, Sripathi is now back to the same position that he was in the third week of April, when he first noticed the mistake. He is dismayed that there has been no resolution of his problem despite trying for so long. All he asks the BBMP is to assign people to resolve the issues. Sripathi cannot fathom why the officials at the local offices haven’t been given the power to rectify such a simple thing. He adds that he himself knows at least three more people who are facing the same problem.